4 metres long and 31 cm’s wide. In good condition. 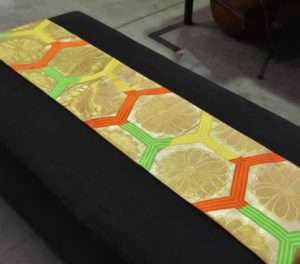 Traditionally worn around the waist of a Kimono. Obi look great as table runners and over the bed. SKU: 13188. Categories: New Arrivals, Obi and Textiles, Textiles. Tags: obi, vintage.